Losing a password can represent a very frustrating situation; especially if you need to immediately access a file. Lazesoft Recover My Password provides a quick and streamlined method which will help users obtain their password in no time at all. This system guarantees a password recovery rate of 100 percent. It is able to work with the majority of Windows-powered laptops. The free version only provides basic levels of functionality and support. It will not work without the use of a bootable CD or USB drive. 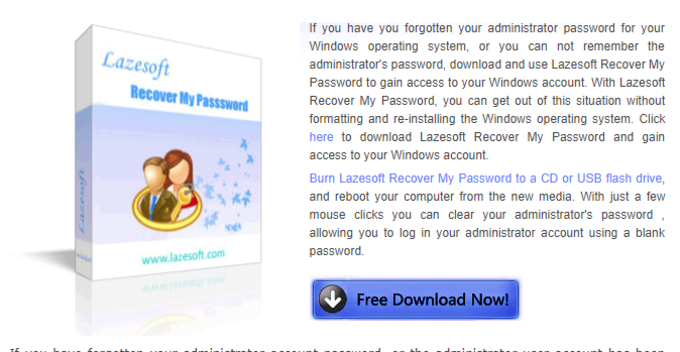 Lazesoft Recover My Password boasts a recovery rate of 100 percent and users can therefore gain access in no time at all. Installation takes only minutes and a handy interface is offered if any questions arise during the process. It is able to reset passwords using bootable CD drives as well as bootable USB devices. This system supports both local and domain administrators; a benefit within the business environment. 32- and 64-bit versions of Windows are also supported by this package. Lazesoft Recover My Password offers several additional features. These include the ability to disable password expiration dates and to unlock (or lock) specific user accounts. Some of the hard drives currently supported include IDE, SCSI, SATA and RAID Drivers. There are no limits in terms of licensing or distribution. 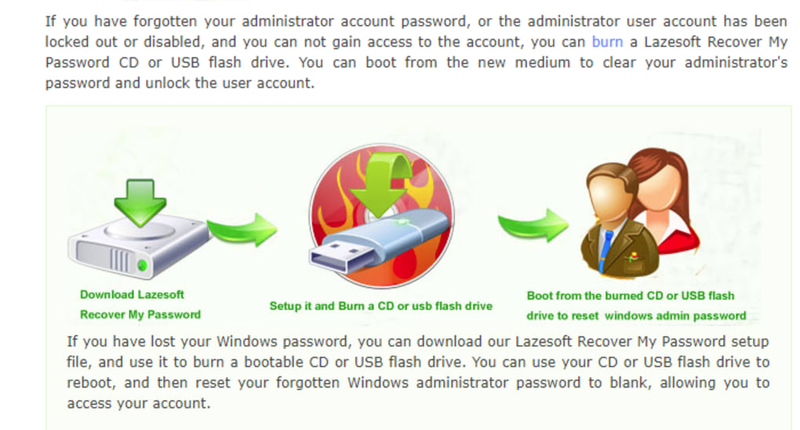 What do you think about Lazesoft Recover My Password? Do you recommend it? Why?